spa services or in our gift shop. This month’s two winners are….. When you have four young kids ( 2 of which are twin 2 year old’s) it’s really easy to forget to leave time and energy for each other. We’ve found it really helpful to spend some time every night after putting the kids to bed, just sitting on the couch together talking about our day. It also provides a time to talk about things that may have been bothering us, but in a time we are more calm and less emotional about it. Our relationship has also really benefited as we’ve continued to learn more about ourselves. Self awareness has led to better communication. It’s also helpful to talk to a therapist before things reach a crisis point. We are continually deepening our relationship with each other and ourselves. Spend time doing things your spouse enjoys even if it doesn’t appeal to you. Sometimes I will play video games with my husband just so I can spend time with him and he does things with me like watch shows on TV that he doesn’t really care for. It helps us to show each other that we desire to be with one another no matter what we are doing. We have had several guests in the past share with us art work on their breakfast papers, guest surveys and their in-room journals. We put sketch pads in all of our guest rooms and asked guests to share their drawings with us and we would pick a winner each month. The winners photos will be hung in our hallway going down to Vidal and Seyval Spa suites and send them a $50 gift certificate and a framed photo of their drawing. Our first two time winners! Zen gardens have been part of the Japanese culture for centuries. 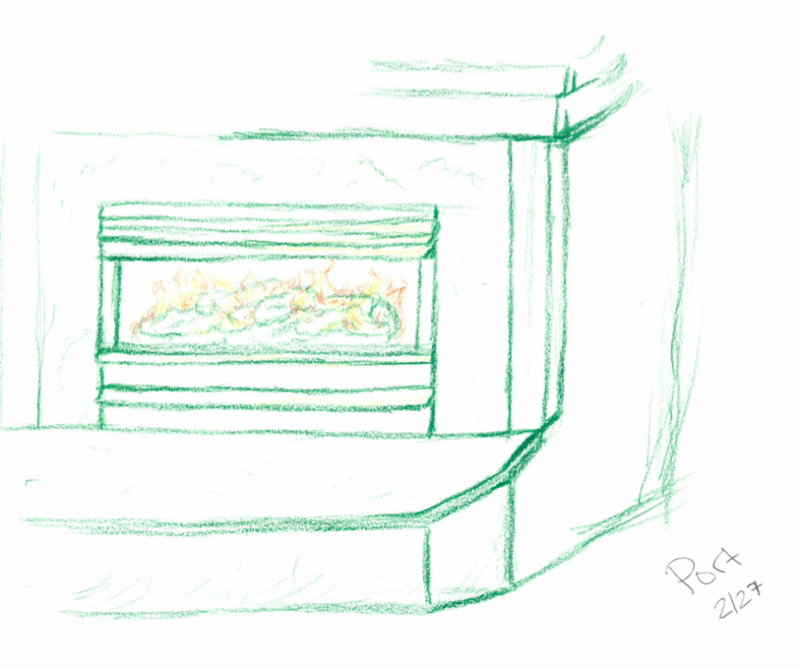 They represent self-examination, enlightenment and create an environment for meditation and expression of thought. We now have small Zen gardens in all twenty of our suites and cottages for our guests to create their own Zen masterpiece! 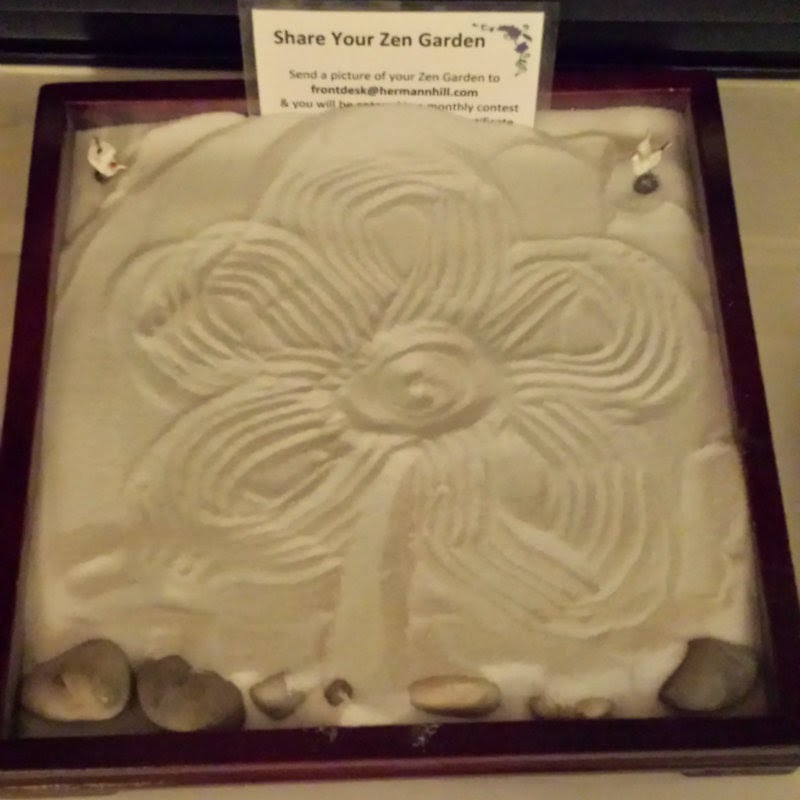 We are asking guests to take a picture with their phone of their Zen garden and we will send them a $50 gift certificate and their own Zen garden.